Lots of folks were aware of the National Tour. Not too many felt ready. I came down with pneumonia the weekend before so I wasnt feeling too cool and my son had a soccer tournament the same weekend. I spent much of it at Merrimack Park where I could hear the PA system from the event sometimes but oddly enough not the engines. I will be out there Sunday I hope. Wish I had something to Rallycross so I could do the Ironman Series. I have been MIA as well...the job! I still have some of the photos of the events but nothing beats the action! Bob, did you send them the link from the Ntnal Tour here in Huntsville AL? There were several GXP in action an man oh man it was a though competition but, I enjoyed the experience as a noob. Are there any Alabama Sol owners still out there? How about in lower AL? I know this is an old thread but let's see if this goes anywhere. I know there's some other Solstice owners in Huntsville, besides myself. Anyone in the Conecuh, Monroe, Butler, Covington county area? I have a black 2007 GXP automatic. Mr. W, reading these old posts there used to be several Solstice owners in North Alabama - a lot closer to you than I am. I'm not on the Gulf Coast, but you could just about throw a rock. We'll keep an eye out here and maybe others will start showing back up. Alabama SCCA does several slaloms each year in Birmingham. I know they held one just last month, and although I got an invite it was just too hot to go! Moved to 'Bama several months ago but rarely see other kappas. A couple of weeks ago there was a FPPD report of an accident near us involving a Solstice. I know of 4 owners near here (northeast) but have not seen any organized runs. I'm in the Knoxville area. We are practically neighbors. There are about 3 or 4 other members that I know of from the East Tennessee area that have checked in over the last several months. That's not a lot but maybe we could get a Foothills-Dragon-Cherohala run organized for sometime in the fall. So far you folks are a long way away from me. But it's good to see this thread become active! Wish you luck! MomsSol.. Is that you in the picture? Impressive! I make it out to Barber Motorsports Park a few times each year usually for the 24 Hours of Lemons. Keep in mind that's Lemons and not Le Mans. In these races you could see anything on wheels - and on the track. 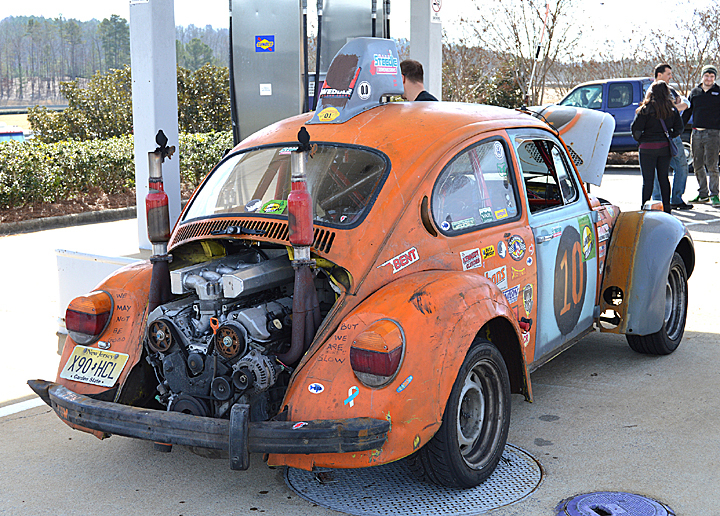 The 24 hours of Lemons usually runs in February. I'll try to remember to give a shout out in case you - or anyone else - care to make it. It's always an adventure! I'm posting (I hope) a couple of things you might see there. 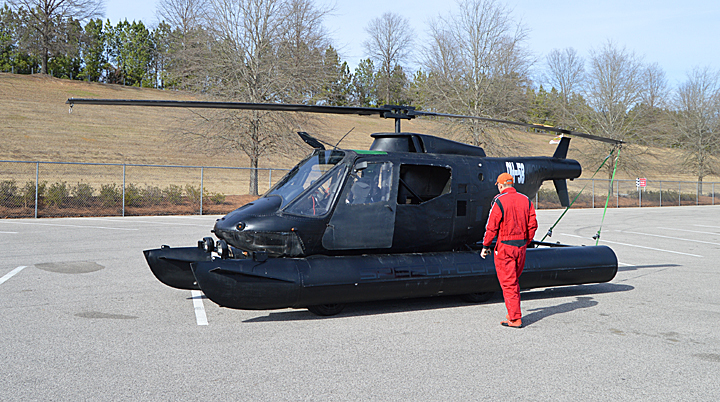 Yes, that is a helicopter on wheels! I am a Tennessee Solstice owner, please let me know if you would let another Solstice in your group. Would love to come to an event if it was within a days drive for me. Just to let folks know, Lemons will be holding their 'SHINE COUNTRY CLASSIC race at Barber Motorsports park in Leeds, Alabama (just outside Birmingham) on February 2 & 3, 2019. Cost for spectators is $30 which gives access to the paddock area. If you've never seen one of these races... it's something to behold! I'll be there for that one if anyone is interested in meeting up for a day at the races. Also at Barber, CHIN Motorsports will be holding Track Days at Barber the following weekend, 9 & 10 February 2019. The last CHIN event I attended at Barber allowed non-racers to take their cars onto the track for a limited number of "Parade Laps." Last edited by Bama; 12-23-2018 at 10:37 PM.